The Las Vegas-based super low cost airline, Allegiant today announces a donation of $362,358 to the Las Vegas Victims' Fund, supporting those impacted by the tragic events of October 1. 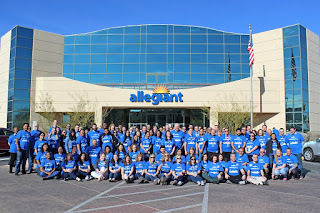 Allegiant team members from across the country raised more than $181,000 by donating hours of paid leave time. The company's leadership team matched employees' contributions personally. 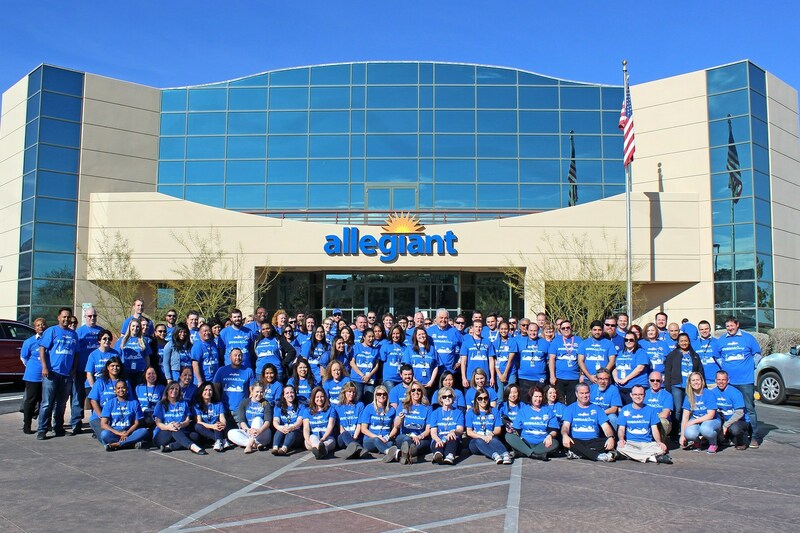 "Las Vegas is our home – and from the moment this tragic event unfolded, it was important to our team to pull together to support those affected in any way possible, and stand strong with the community we all love," said Maury Gallagher, Allegiant chairman and CEO. "We are proud to stand shoulder-to-shoulder with so many others who have given deeply of their time and resources to aid with recovery, and hope our contribution will encourage additional support." Allegiant is focused on linking travelers in small cities to world-class leisure destinations. The airline offers industry-low fares on an all-jet fleet while also offering other travel-related products such as hotel rooms and rental cars. All can be purchased only through the company website, Allegiant.com. Beginning with one aircraft and one route in 1999, the company has grown to more than 85 aircraft and 350 routes across the country with base airfares less than half the cost of the average domestic roundtrip ticket.